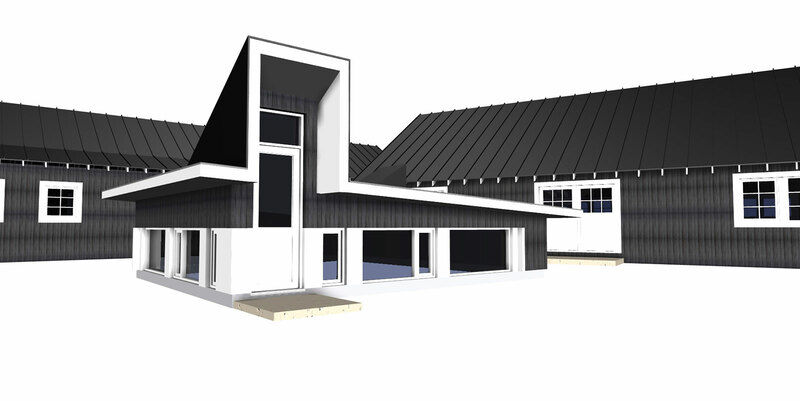 The client for this project was looking to build both a home and workshop on a fantastic piece of property in the foothills of Priddis Alberta. 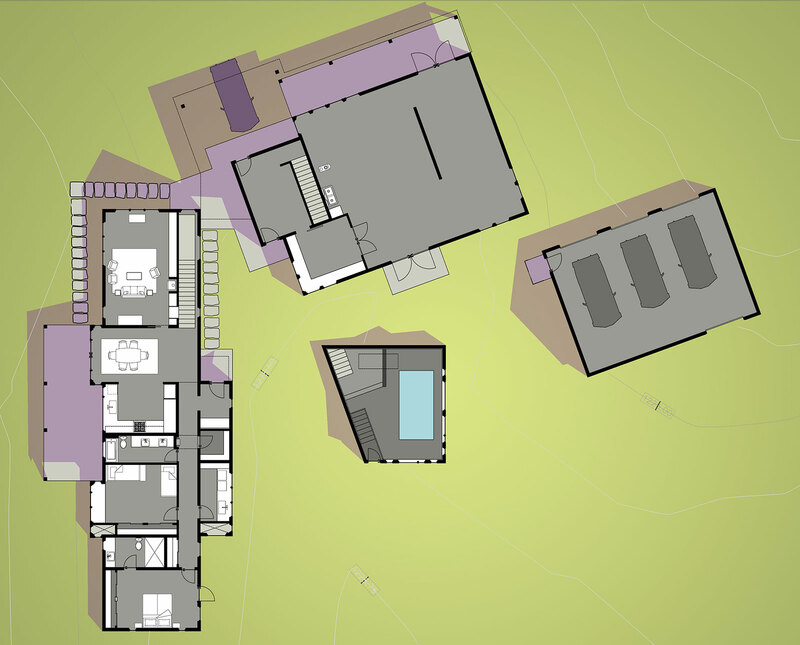 Since the property was essentially a hilltop site that was quite open and exposed only with trees at the perimeter of the site, we decided that the home and support buildings should work as a grouping of structures that would provide shelter and help frame the landscape and create a sheltered exterior courtyard. This same type of strategy can be found in early prairie settlements which were a precedent to look to for the project. 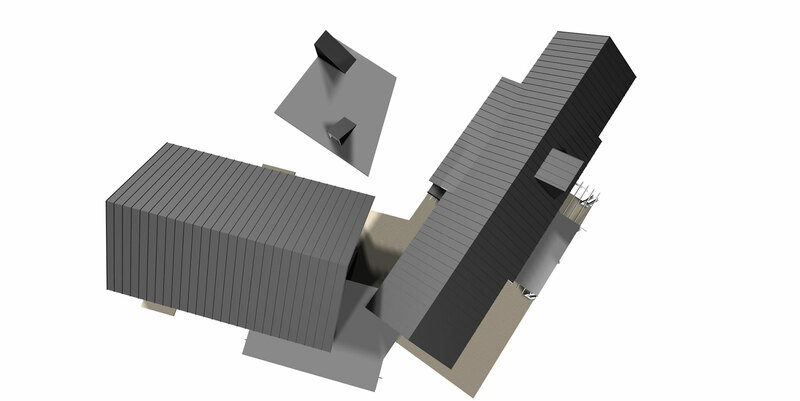 Since the site is on the prairies with the tendency for cold winters and blowing wind, we decided that while the buildings could sit as separate entities framing a courtyard, they could still be joined together below grade through tunnels that would connect the basement levels of the different buildings allowing for easy movement from one building to the other. 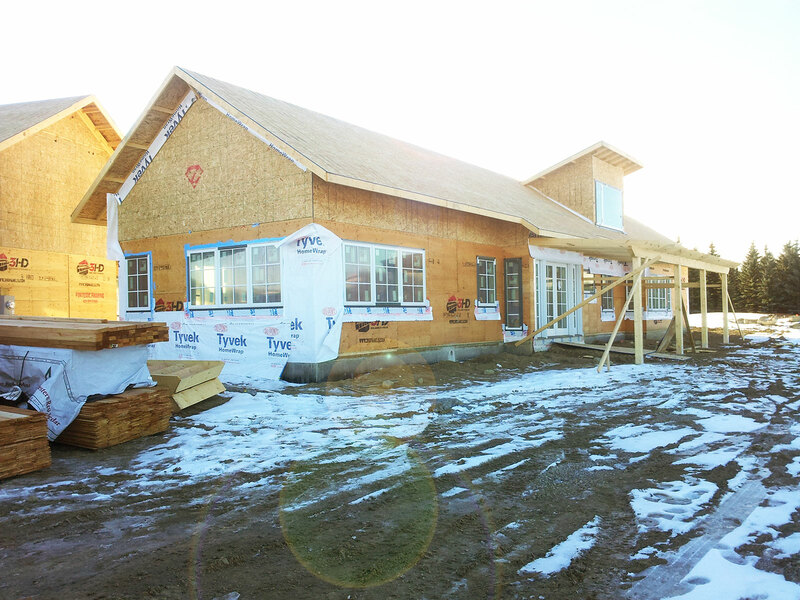 The initial program was to have the main house, a woodworking shop, pool building and garage. 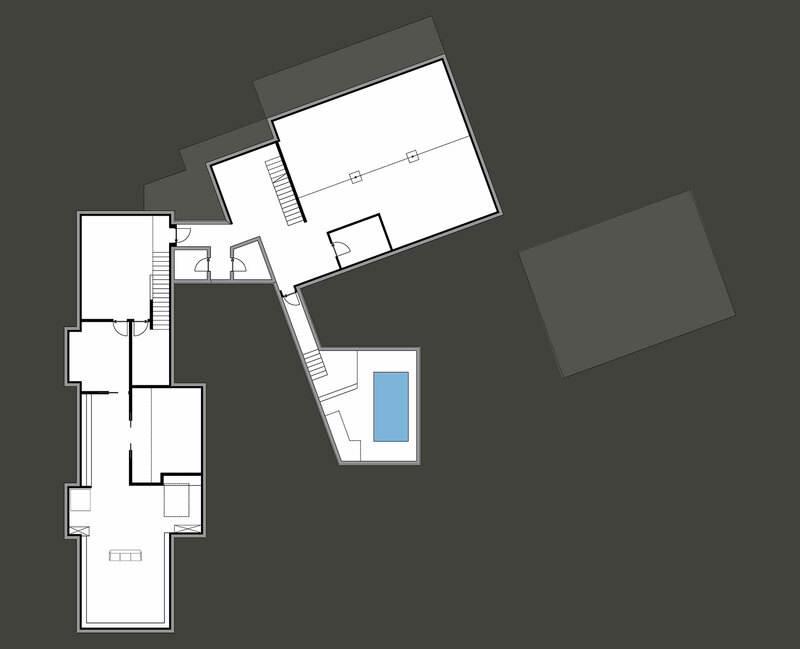 The house, shop and garage became the main anchor buildings defining the edges of the courtyard and the pool became the playful object building that would be at the centre of the courtyard and would be partially submerged I the ground. This was to provide a grotto type feel for the pool. 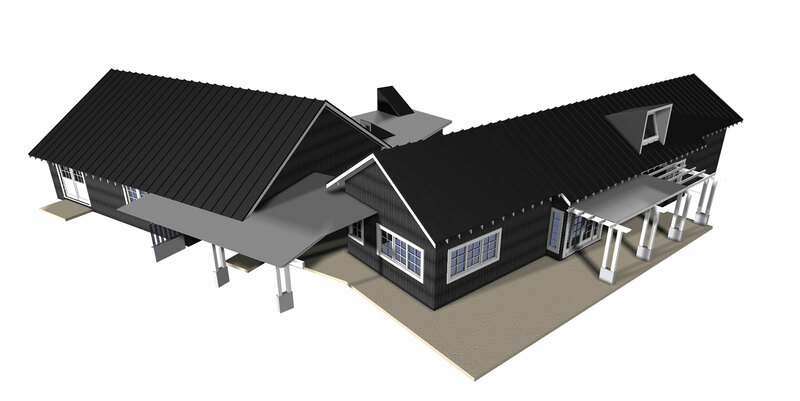 Within the main buildings we explored a more traditional simple prairie style of building but while the buildings might look very similar from the exterior we wanted to give a different feel to the interiors that spoke more about their uses. As a result we chose to expose the wood trusses on the interior of the shop area insulating instead on top of the roof rather than in the space of the trusses. This rougher unfinished feel both lent itself well to the nature of a wood working shop as well as providing more volume and lightness with the use of indirect lighting that lite the ceiling space giving a serene airy space to work in. As construction proceeded the pool portion was eliminated because of costs. The home and shop have been completed so that the home owner can now begin to lovingly integrate his woodworking details and millwork into the home. We continue to be involved as he designs and builds components. 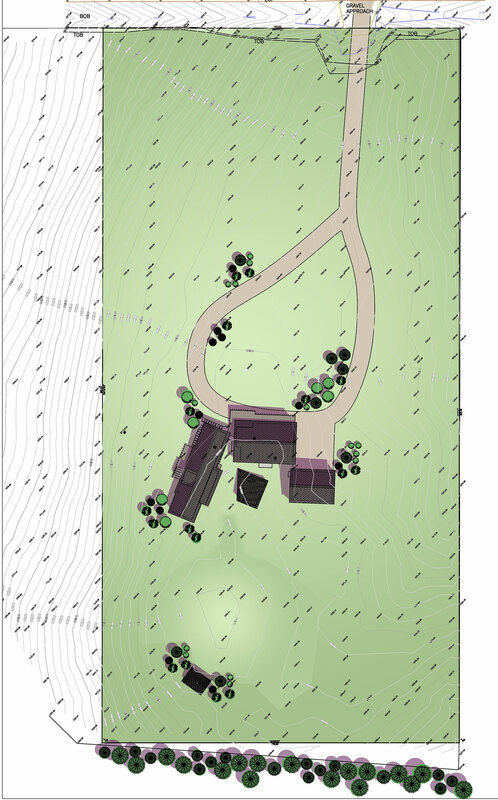 He is also currently adding a retreat hut at the edge of the property and hopes to add the pool in years ahead.